Where I live (Perth, Western Australia), it's damned hot right now. When it's 34C+ in the kitchen at night, I'm finding bulk proofing of SD problematic. Last time it was this ambient temp, I reduced the autolyse to 15 mins, and the bulk proof to 1.5 hours - but the latter was still too long. Despite putting the shaped dough immediately into the fridge for the final proof overnight, then baking straight out of the fridge next morning (total retardation 10 hours @ 5C/40F), the finished loaf showed signs of overproofing and underproofing! It still tasted fine, but was not the nice even shape it usually is. There is no doubt the ridiculously warm bulk proofing time played havoc with the leavening. Do part of FP at room temp, and rest in fridge overnight. Portion of FP outside fridge varies according to ambient temp. An hour or more if 18C/65F or lower, and progressively less until about 25C/77F, when I put the dough straight into the fridge for the FP overnight. Bake out of fridge after 9-11 hours retardation. I'm considering doing the entire proof, bulk and final, in the fridge while these extreme conditions persist. Just wondering if anyone has done this with excellent results, and if so, whether you would mind divulging the times and strategies you used? I'm thinking an initial autolyse of 20 mins out of the fridge, followed by a BP in the fridge with S&Fs on the hour for 5 hours, then shaping and retarding for another 10 hours or so before baking straight out of the fridge as I usually do. I am well tuned into assessing when a dough is ready for baking, but don't have any experience making such an assessment with a dough that has done all its leavening in the fridge. So, if anyone does have relevant experience, would appreciate your passing on your insight! We have been in the 30's consistently here ... plus humidity! Nothing like the scorching weather elsewhere in the country .... but still a challenge. Doing this I can escape using the fridge until the final proof overnight. But most importantly I keep a check of the dough temperature throughout the bulk ferment to see how it's travelling. Sorry I couldn't help with your more specific fridge questions ... good luck and stay cool! No, I haven't really seen the need to get a thermometer. I just go by the dough feel and appearance, and almost always get by well on that. But these very hot times, the yeast is acting erratically. You're probably on the button about using a thermometer - looking at your bread, you're on the button about everything! It's just that it's not something I'm used to or have ever needed to do, plus I can't work out which thermometer to get! I know that sounds ludicrous, but there's such a range on display in places like Kitchenwarehouse and the staff never have a clue which is most appropriate for bread. I've been in there intending to buy a thermometer several times, but end up walking away confused. I'd be most interested in which one you use, if you don't mind divulging that. I've been adding salt to the starter to slow it down in high temps since noting that Gerard Rubaud does that, and also took the cue from him to reduce the proportion of starter in the dough in hot weather - so thanks for those very valid suggestions, but I'm aware of the strategies. I have to admit, though, I didn't use them last week when I had the weird shaped bread after that hot night of bulk proofing. That was dumb and lazy, so thanks for reminding me. Adopting both strategies is probably key to resolving my hot weather proofing problems. BTW, what temp do you look for when checking the dough with the thermometer in hot conditions? We don't have those sensible stilts on the houses in Perth, so can't try your under-the-house tactic! Re your question about the starter - it's fine. I keep it in the fridge between bakes, of course, and these days when I take it out to feed it up it only takes 4-5 hours to be swollen with bubbles and ready to rock. I'm still keen to investigate a fully refrigerated bulk and final proof, because once I get the timing right it will give me a consistent method of ensuring correct fermentation in any weather,but especially extreme summer temps. I'm also interested to see how a very cold proof affects the flavour and quality of the bread, but have to admit this is a secondary concern at the moment. If no one comes to the rescue here, I'll check back in with the results of any experiments I do on this. I imagine some others might find this cold proof topic of interest. aim for a higher dough temp (27.5) and then do the entire bulk in fridge. or use ice cold water, leave out for 1 - 2 hours, and then place in frdige once dough temp reaches 27.5. aim for a higher amount of leaven in formula, making sure the leaven you add to your dough is not too warm either, as it can undesirably raise ddt in large amounts. dont use autolyse unless done with ice cold water. or mix with a ddt of 22 - 24 and use an eskie with frozen food to keep temps below 24.. what wa flours do you use? Sourdough won't work in the fridge from start to finish. You need to find out what your dough temperature is when you are done mixing. You can use cooler water to bring your dough temperature down. Then you want to create a micro-climate for your dough as its proofing. You could try putting your proofing bowl into a bigger bowl of cool water. Then everytime you fold, change out the water so its cool again. Or you could get a cooler, put some ice packs in the cooler with your proofing bowl. of course it can ferment completely in a refrigerated environment! it just takes a long, long time, temps depending. it also will not have the same range of aromatic compounds that result from warmer fermentations, but it will still be decent sd nonetheless. From the timeline he gave in his OP, it didn't sound like he wanted to wait for days to bake a loaf of bread. It doesn't have to take days if, just after mixing, the DDT and inoculation percentage are high enough going into the fridge. Well-meaning post, I know - and thanks - but I have to admit as soon as I read your opening sentence I had a credibility problem. AP has dealt with the inaccuracy of your comment, but I'd just add that I routinely do my entire final proof in the fridge, and know from that alone that SD does not stop proofing at fridge temps (mine is 5C). If you can do a successful FP in the fridge, it surely follows that a BP is also possible, especially adopting measures suggested by AP, such as increasing the proportion of starter in the formula. The only question is the time involved, and how often to S&F to ensure appropriate dough development. In my experience, FP = minimum 8 hours @ 5C, while @ an ideal 24C it would take about 1 hour with the breads I usually make. So, 1 hour @ 24C = 8 hours @ 5C. My typical BP is 2.5 hours @ 24C, so if the BP was done in the fridge it should take 2.5 x 8 = 20 hours. 20 hours BP + 8 hours FP totals 28 hours. OK, ap - now you can tell me why my calculations are not valid! I'm sure Ars will provide you with some solid concrete numbers ... some things to take into consideration though. Larger amounts of dough in bulk will take longer to cool to the fridges operating temperature compared to proofing single loaves. The amount of prefermented flour/levain and temperature of the dough going into the fridge will also play a part in this. Stretch and folds will still be handy to redistribute the outside edges of the cooling dough - helping the fermentation to remain even throughout. sorry, need more info, like the formula and flours used. I misunderstood what you were trying to do. I was under the assumption that after the final mix of your dough you were putting it straight in the refrigerator until bake time. Obviously you can final proof in the refrigerator, but in this scenario the yeast/bacteria already have a head start (3-4 hours?) and the fridge will take awhile to bring the temperature of the dough and the activity of the yeast/bacteria down. You will notice that the ambient temperature of around 90+F favors the bacteria growth rate over the yeast growth rate. If you look at refrigeration temperatures, the bacteria still have a major advantage over the yeast in growth rates. However if you were able to create a micro-climate that dropped the temperature just 10 degrees F (~80F) you would have the optimal conditions for your leavening problem. BTW, whatever the science and graphs show, my preferred ambient temp for proofing SD based on practice is around 20C/70C...I think much depends on multiple factors: eg - starter qualities, flour types, methodology, formulae, flavour and texture preferences etc). Anyway, thanks for your interest and input. Good practical tips. Will give 'em a go...once I get my new thermometer! I use Eden Valley as a component of my white flour (about 25%), combined with either Laucke Wallaby or - mostly - Allied Mills 'Superb'. The latter is not a high profile flour among home bakers in Aust, but I rate it highly. Not only is it a terrif bread flour, but it is undoubtedly the best pizza flour I've tried, and I've been through everything available locally, including the Italian Tipo '00' pizza flours. For my other grains, I use Eden Valley whole rye and wholemeal when I can get it, and Four Leaf when I can't. I use Four Leaf whole spelt. Would like to try the Oatlands milled flours you favour, but have never managed to track them down over here. I have baked extensively with nearly every flour available in Australia, including the ones you mention. Laucke's Organic Flour is a decent roller-milled flour, and better than the Wallaby. Allied Mills' flours are great. I'm not a big fan of Four Leaf, which I rank behind Eden Valley and Kialla, both of which I rank behind the other two stone-ground flours already mentioned. I also only use roller-milled flour from Tasmania's only commercial mill, based in Launceston. Their "all-purpose" flour is sold under the Four Roses brand name in supermarkets. 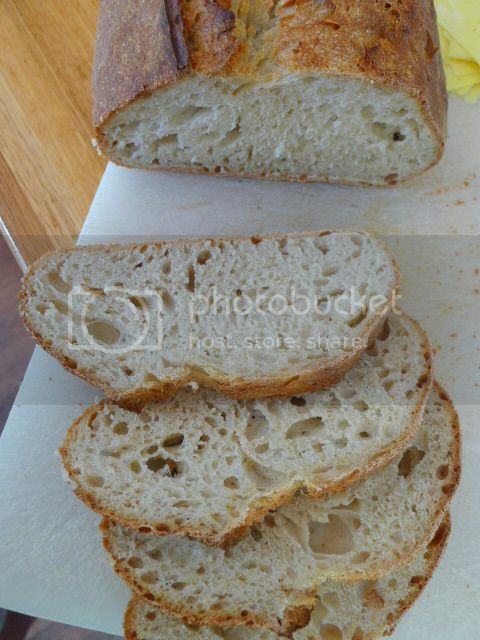 Despite its low-protein content (10%), the creaminess is outstanding, and my go-to flour for "white" doughs. I will post some formulas and photos in the future of breads I have created out of these. Sadly, global warming is going to negatively impact wheat-growing on the mainland according to the Australian government's own estimates (available online; updated yearly), with Victoria and NSW suffering the most. We are already seeing this environmental impact in the Australian wine industry, especially in South Australia. As per '00' flour: it's most often cut with North American hard wheats to increase fermentation tolerance. I don't understand what the big deal over it is. As per pen-style thermometers, you can buy a PH meter / thermometer in one, and these can be had cheaply on Ebay Hong Kong. I always recommend purchasing equipment from Europe or Asia. Despite shipping costs, I still regularly save 25% - 60% on similarly priced goods in Australia. Oh, the tyranny of distance! Most interesting comments on flours, ap! Your findings equate with mine on the flours I know. Plenty of pizza-bakin' devotees are wise to the qualities of Allied Mills 'Superb' for pizza, but you're the only person I've come across who rates the Allied Mills as highly as I do for bread. Truth to tell, I am not overly impressed with Laucke Wallaby flour, either. I buy it when I'm out of Allied Mills and haven't time to go out to the factory outlet that sells it. I haven't seen the Laucke Organic, but will keep an eye out now. And I'll certainly try to track down some Four Roses. I certainly prefer Eden Valley rye and wholemeal to Four Leaf, but EV's supply tends to run out, so for a good part of the year all I can get of the organic lines is Four Leaf. I have been questioning the quality of their stuff, though, since buying some CRAP oats from them at the Good Food and Wine Show (another BS yuppie event I have now permanently crossed off my list). Couldn't agree more re the '00' flour. Ta for the tip on HK Ebay, although I'm a bit wary of Ebay generally. Right with you on purchasing over the net from OS, though, rather than buying in Aust. Have saved a small fortune over the years through Amazon, the Book Depository etc. Be wary of mainland mills and rye. Most source or supplement their crops from Canada, sadly, as year-round production on the mainland cannot meet the national demand. The best rye and spelt I have found grown in Australia also comes from Tasmania, and is milled by Callington Mill. I haven't seen Allied mills flours anywhere up here either ... Just had a look at there website and I am now chomping at the bit to try some of the 'superb' Where are you purchasing it through? I have a thought that the laucke organic is only available in commercial quantities ... it has been a long time since I checked though. I imagine ars is getting it through work??? Now that I am milling my own wholegrains I can't remember that last time I bought a bag of wholegrain flour ... Kialla is about the only choice up here for experimenting homebakers. Allied Mills and Tasmanian Flour Mills are my two favourite roller-milled products in Australia. I prefer the latter (their milling technology hasn't really been updated since the 1870s! ), but both are great. Allied's products are more "corrected for." I don't want to hijack Ross's thread ... so if you want to answer this question through private messaging or perhaps raise it through one of your blog posts in the future? What do you look for in a roller milled product? For instance why do you rate Applied mills "superb" a better flour than the "Wallaby flour" Is it flavour, performance, colour? I am a big user of Laucke's Wallaby flour and it has served me reliably with delicious results but I really have nothing similar to compare it with up here. For me if I am burnt by a product ... ie some of the more variable organic brands I am hestitant to return and use them in the future and I find this clouds my perception of them. Please understand that some of the best mainland bakers in Sydney and Melbourne swear by Laucke products, and very few use Allied Mills flour, which is significantly cheaper (by almost 30%) when buying by the pallet. A lot of it comes down to personal preference. Understand, I do not use, and never will use, Allied Mills flour in my own bread. It is, in my opinion, better than Laucke for overall performance and texture. Flavourwise, I find both lacking (if one were to make a straight dough from them). The godfather of the Australian sourdough movement, Graham Prichard (now of Companion Bakery in Oatlands, Tasmania), uses the same flours I do. I am mainly interested in using only organic, or at least chemical- and pesticide-free, products, but I have never been impressed with Laucke's roller-milled organic flour or the other options available in Australia. Tasmanian Flour Mills creates a (not pesticide-free) beautiful, clean flour, and the amount of carotenoidal pigment left is just beautiful. It's less like a North American flour, which most mainland flours are, and reminds me of a lot of the better T55 and T65 flours from France (like Viron). It doesn't have terribly great fermentation tolerance, and requires the shortest of mixes with the use of some kind of pre-ferment (i.e., the Four Roses brand, at 70% hydration, would be equivalent to a similar mainland flour at nearly 78 - 80% hydration). It all comes down to personal preference, ultimately. I am used to working with inconsistent grains, something that does happen occasionally in smaller producers who do not have the advantage of being able to blend their wheats from a wide array of growers. Like Dominique Saibron, I have a little bit of a "flour mania," insisting on pure, clean wheat. Don't worry about hijacking the thread, Phil. Phil, in Perth I get AM 'Superb' from the wholesaler's premises. The wholesalers supply commercially to bakeries and pizzerias, so you're buying in bulk at wholesale prices. In fact, it was via a pizzeria that I "discovered" Allied Mills 'Superb'. There was a write-up on a local pizzeria whose owner claimed to have won multiple world championship pizza baking competitions (I have since found out that these "world pizza championships" are a dime a dozen). Anyway, I noticed bags of Allied Mills 'Superb' flour in the background of a photo accompanying the article, and made a point of chasing it down. I figured if it was good enough for a world champion pizza maker, it might be good enough for me! At that time - about 5 years ago now - I was a home pizza fanatic. Still am, but for the past 3 years or so SD bread has taken over as the main game. I'd been through all the locally available pizza flours by the time I actually chased down my first bag of AM 'Superb'. From the first bake, it was obvious that this was the pizza flour I'd been looking for. Flavour terrif, nice open crumb, crisp outer surface of pizza rim, and the flour itself makes a lovely creamy stretchy dough. Of course, method comes into it - just short-cutting to the dough qualities that impressed me. It was only about 2 years ago that it occurred to me that my wunderbar pizza flour might work well in bread. I'd run out of Eden Valley, or whatever I was using at the time, and resorted to the AM as a matter of convenience, thinking it surely wouldn't be too bad in bread until I got around to getting some more EV. I was astonished to find that I ended up with one of the nicest SD loaves I'd made for some time. It felt good during the shaping, and held together well. Also stayed firmer than the EV, which tends to slump and get a bit tacky in moderately high hydration doughs. 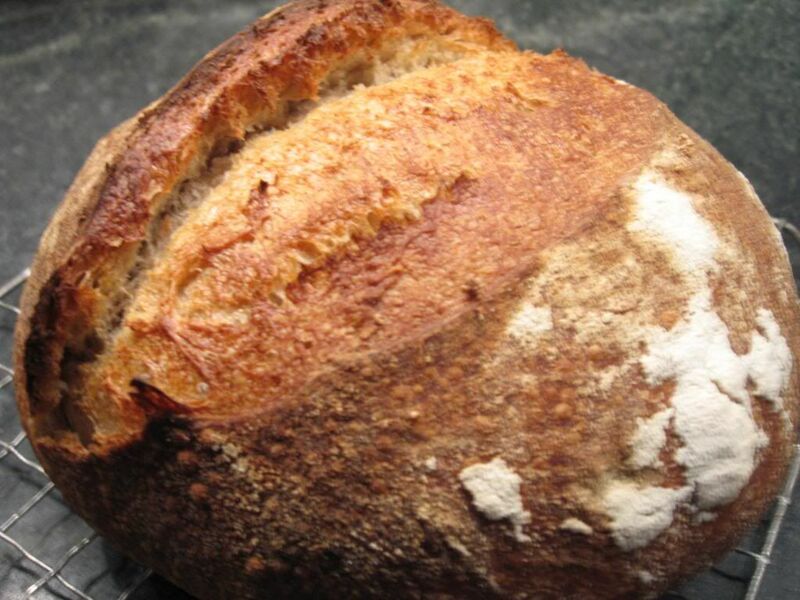 In the finished bread, the crumb was creamy and open, the rise was proud and assertive, the crust was golden and crisp but not too thick, and the flavour seemed every bit as good as the EV. Also, the aroma during the bake seemed especially tantalising. That was the beginning of my love affair with AM. I subsequently started combining AM with EV, because I really like the flavour and general qualities of the latter. I combine them because I find the AM flour stands up better than EV, which tends to be a bit weak in its gluten qualities (or something - ap will probably come in and cover the technicals). I switch from AM to Laucke Wallaby from time to time, but to be honest I'm always glad to finish the Laucke and get back to the AM. 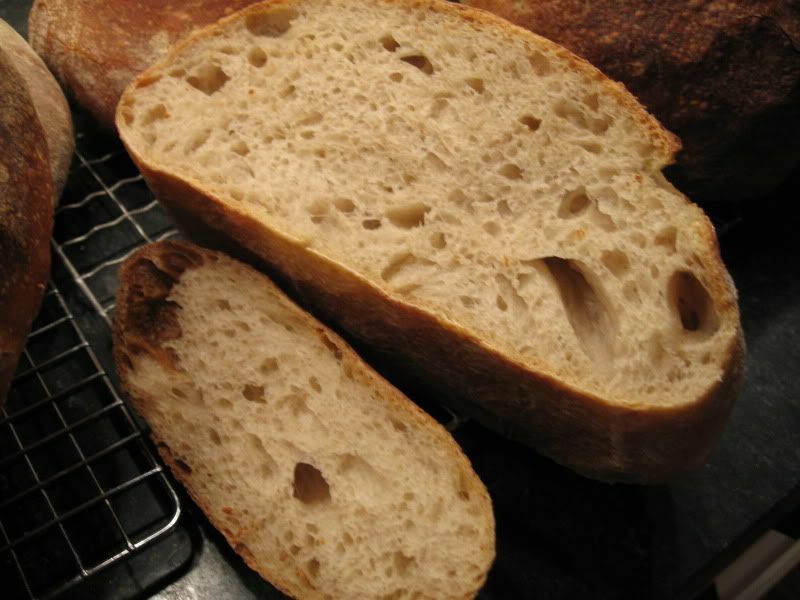 Better flavour, better colour, and seems to produce a more open crumb in the types of SD breads I favour. Many other factors at play, of course. Just trying to give you an idea of the reasons I rate AM above Laucke. Not that it means much, but this pain de campagne I posted about recently was made with a combo of EV and AM white flours (+ rye). The pics are better than my usual, but the crumb is typical of the sort of result I get when I use AM as the main white flour component. Well, I'm sure that was a gripping account of my AM history. More relevantly for you, the 'Superb' is certainly available in Brisbane. I know a home pizza guy over there who also swears by it. I'll try to contact him and get some details for you of where to get it. It's only available in bags of 12.5kg (about $14, from memory) and 25kg (about $27). The price works out to be ridiculously cheap for any flour, but especially so for flour of this quality. Wish I could get Kialla - that's one I would like to try. But the one that's really got me fidgeting with frustration is the Four Roses flour ars pistoria rates so highly. Can't turn up anything on that over here, so far. Funny isn't it ... I can get Kialla flour 5 mins down the road at a few different locations ... but now use it only in feeding my levain. I have used it quite a lot over the years but Nat and I both tend to agree that the bread made with it is tougher and not as palatable as the bread made with the Wallaby flour. It's not bad ... just not as nice. Laucke flour is available at Coles but they don't have a commercial distributor up in Queensland at the moment, which is a bit of shame and I know they are trying to rectify this. The Freo Doctor has called! At last...! Still sticky and uncomfortable, and 30C in the house, but gotta be grateful for small mercies! I've got a Hoegaarden waiting in the fridge to celebrate the end of this godawful coupla days. Looking forward to that! I have used the fridge for bulk fermenting wholegrain doughs with success but then I always proofed them at a high room temperature. That method could work nicely ... you could use the hot weather to your advantage then. I'll get a thermometer. I'd like to get the thermopen you recommended, but just too pricey for me. Or shall I begin the rationalisation process...hmmm. Anyway, you've turned my head around on thermometers, and I suspect I'll continue thanking you into the future! You could always get a cheap, digital pH meter used for soil from either Bunnings or K&D, and then get a pen-style thermometer cheaply from the chemist. Neither are particularly expensive, and a good place to start. OK, I'll expose my ignorance. How do you apply a pH meter in SD bread baking, ars pistorica? a few thoughts on your problem..
My parents met in Fairhope, and had a house there until very recently. Hello from the other side of the world. Ta for sharing your process, which is actually not far away from mine, except for the pre-shape fridge time. I, too, do only SD, and with a similar dough composition to that you describe. We do diverge on the baking - I bake straight out of the fridge, but load the dough on to a pre-heated pizza stone. Your method is nice and simple, and going by the bread pictured, obviously works a treat. I'll give it a try and see how it goes. Thanks again! In the morning the dough gets a couple of hours of room temp. time prior to being shaped and proofed. I pretty much know where the cooler places are in our home and use them according to how long I want the final proofing time to be. Thanks for your comments, Janetcook. There are no cool spots in our house once a heatwave has been underway for several days in succession, and no basement. Yeah, as mentioned above, like you I'm accustomed to combining room temp (referring to notes on past bakes) with dough appearance and feel, but Phil and ap have sold me on adding a thermometer to my most meagre store of bread-baking equipment. If it were poossible to swap weather conditions, I'd be attempting to bribe you into doing so right at this moment, lemme assure you! The Fremantle Doctor (affectionate local vernacular for the sea breeze) has arrived though, so relief is at hand. Sorry, I am thoroughly enjoying our cold weather after the long HOT summer we had this past summer. My body and my brain much prefer the cool and I love building a nice hot fire in our fireplace if things get too cold. Janet, I've been checking out thermometers on the web and had identified the one you linked to as a likely candidate, but I note that the measurable range maxes out at 150C/300F. Just wondering, do you find this limiting? Being extremely frugal, (out of necessity, not nature!) I was hoping to track down a thermometer-for-all-seasons that could be used not just for bread dough, but for testing deep frying oil temp, whether chicken etc is ready for removal from the oven, etc. For these purposes, I think I'd need a thermometer that went to 200C/390F - or, gasp, to buy a separate thermometer! No, I don't find it limiting because I own one of THESE since I am a wood burner and I need a thermometer that goes well past 200°C/300°F mark :-O. For all of my bread and other culturing needs (yogurt and cheeses) the smaller one I highlighted is more than sufficient. on opposite side of the world exactly 6 months apart. AZ where I live can be over 100 F every day for what seems like forever and at least a couple of months much hotter. I take the mini oven outside to bake during these months. We did a 36 hour retard and bake cold out of the fridge today since it is winter but in the summer 12 hours - 20 hours would work. Total proofing in the fridge is a great option for those of us in the heat half the year and still want good bread. Yeah, AZ sounds similar climatically. I've often thought about getting a portable convection oven for summer to take outside for baking and keep the heat down in the kitchen. Do you find your portable OK for bread baking? I assume so - do you mind sharing the brand and model details? I think I may have a quick solution to my hot temp proofing dilemma. Will post on that directly. regular and convection oven all in one. We paid about $99 for it about 2 years ago. It also toasts 6 slices of Sandwich bread at once but it makes lousy toast. The temp range is from 150 F to 500 F on 25 degree increments only. It bakes better bread and anything else than our big GE Spectra oven does by far. You just can't bake anything larger than 12" in any direction in it. I keep breads in the 750 g boule range and use one of Sylvia's steaming cups. It made great bread all summer. Has broiler and pizza settings too. For lower hydration dough I like to let is proof in t he fridge for 8-36 hours and then take it out at 75% and let it come to room temp and do a final rise on the counter at 85 F in the summer to 90% of so before baking . Great sour that way. Your long low retard / proof scheme seemed to work great too. Nice going. Baking in the heat can be fun! Ta for that info, dbm. Folks, just a bit of follow-up. I adapted trailrunner's cold-proof strategy for yesterday's bake. At 30C, ambient temp was lower than last few days, so can't be sure how this process would go at 35C. Will certainly try it out, though, next time the temps soar like that. Used starter from the fridge, fed the day before. Have never done that - I always feed up the starter for use as it peaks. Resting the starter for 24 hours in the fridge meant that it was cold at the mixing stage. It was as effective as ever as a leavener. 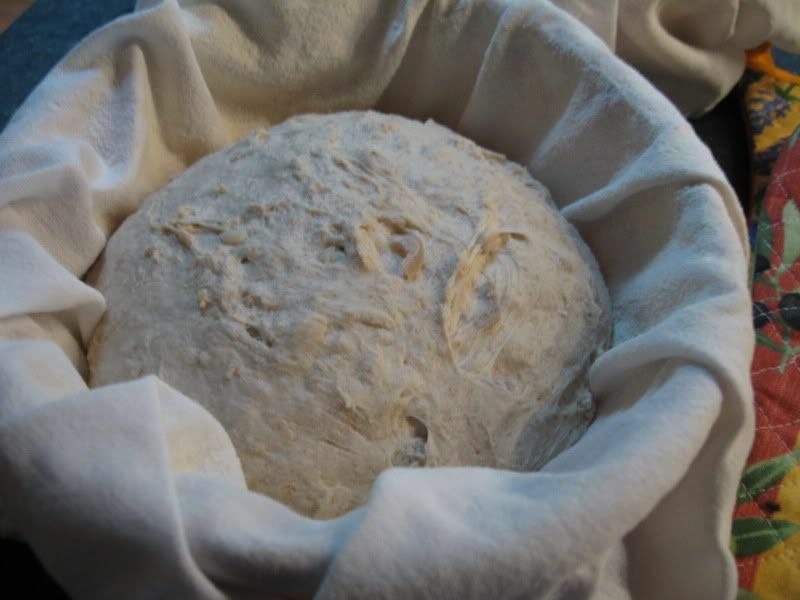 Slightly increased starter proportion in dough: from 27% to 30%. Mixed the dough, including salt at this stage with the objective of slowing the initial fermentation during the 'autolyse' (35 mins). So, it wasn't a true autolyse, more a post-mix rest period. Shifted dough to fridge for the BP (3 hours). Started with a S&F before fridging; took the dough out for 2 more S&Fs at intervals of 50 mins - so 3 in all. Put back in fridge immediately, until last S&F. I noticed the 1kg of dough took 1.5 hours or so to chill down...maybe longer. I left the dough out of the fridge after the last S&F - ie: for the last 80 mins of the BP. Preshaped, rested 10 mins, shaped. Then into fridge for all of FP (total retardation was 10 hours). Baked as usual, straight out of fridge next day. The result was, quite honestly, one of the best breads I have done! Perfect crust (to my taste) - generous spread of central slash, nice ear, crunchy and toasty in flavour, but not too thick to threaten dental health. Crumb creamy and beautifully open. Lovely deep, warm, wheaten flavours. But words are always inadequate in describing sensory experience, so I'll just go with a coupla pics. First, though, thank you trailrunner for providing the basis of the process! I'll still be trying out the other suggestions in this very useful thread - thanks to all for your excellent contributions. But until I get a thermometer, I have a feeling the above method will serve just fine. Yet another example how we, as home bakers, have to adapt to our environment and thus new methods of creating breads come into being. Your method reminds me of a loaf David S. posted. I think it was called his 'rustic' loaf but I can't recall for sure. 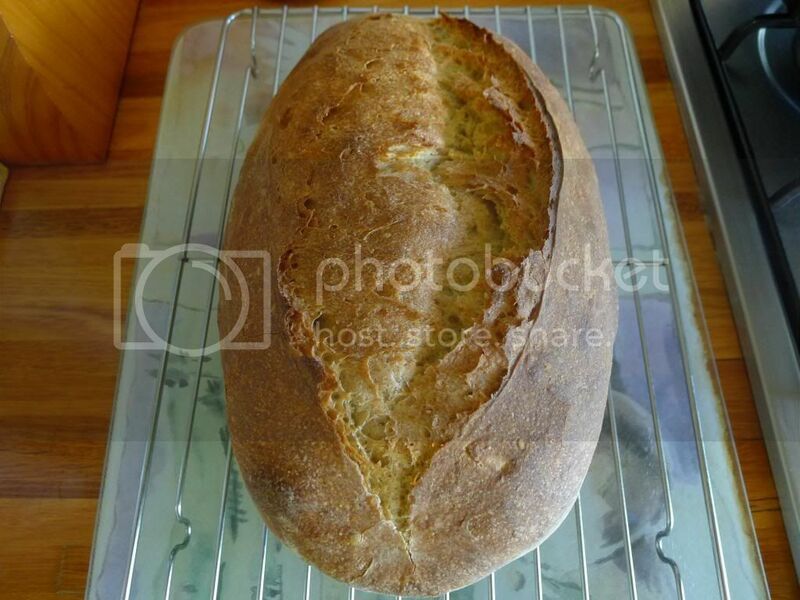 I do know it is all done with cold ingredients and that it does create a wonderful bread. Thanks for keeping us up to date and giving us a strategy to use when the weather turns hot in our part of the world. Not sure this is the answer to proofing in those horrendously hot periods - will need more test runs. But the results certainly are very encouraging. Will update on any other significant findings as I continue to experiment through summer. Must chase down that post from David that you refer to. Thanks for the reminder. I vaguely recall following it at the time. The house might get hot, but the choice isn't between only 35 and 4 deg C. It's down to how you can manage it. I knew it was manageable; the question was how. As it turns out, the solution - for me, at least - appears to have been far simpler than anticipated. In fact, you summed it up in your opening sentence! I use a cold starter rather than chilling water, but essentially our approaches are very similar. Must say, I bang myself on the forehead Homer style (metaphorically) for not thinking more about high temp proofing before now. We know as domestic bakers that there are always workarounds. Just a matter of strategising...and tapping into the wealth of knowledge on this terrif forum. Good tactics for when the fridge is full, Davo. Ta for sharing. I customarily bake one x 1kg loaf at a time, occasionally two, and do my proofing in a 10L Decor plastic rectangular container which can hold dough for one or two loaves. I always leave a clear space in the bottom of the fridge for my trusty container, so room is guaranteed. But will bear in mind your strategies for extra-fridge proofing if the situation changes.